It’s one side only. I also used old bottle caps that I painted and turned into buttons. They’re more accents than functioning buttons, though. 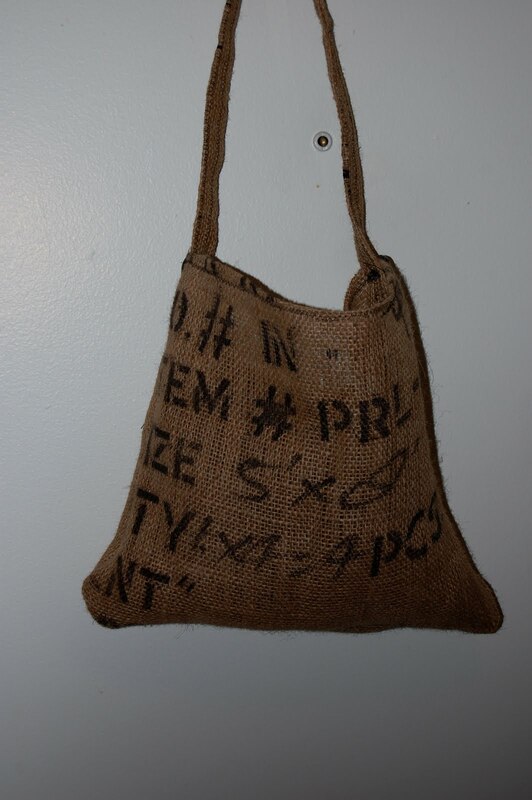 Given that it’s burlap, it probably couldn’t hold a lot of cans. That’s okay – I made it with produce in mind. I wanted a bag specifically for fruits and/or veggies.